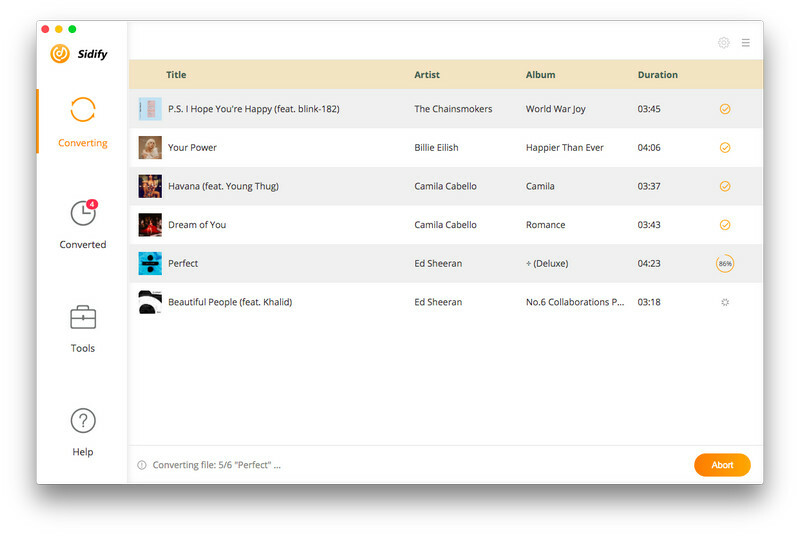 Easy-to-use yet powerful Apple Music Converter. 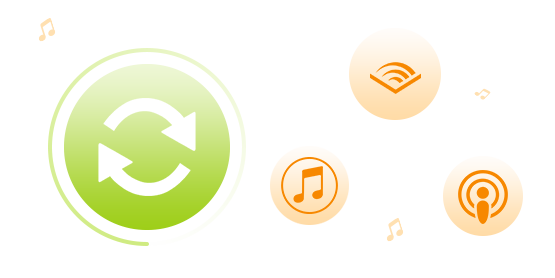 Convert Audible audiobooks & M4P music to MP3/AAC/FLAC/WAV. 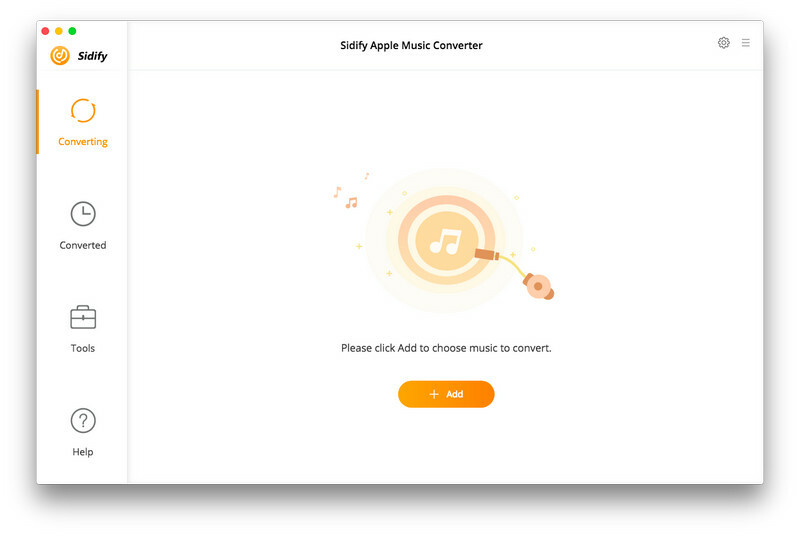 Sidify Apple Music Converter enables Mac users to record Apple Music songs, thus helps people play Apple Music on iPod, PSP, MP3 player, Android phone and more offline with no limitation. Besides, with Sidify Apple Music converter, you can keep Apple Music songs forever even you have cancelled the subscription. 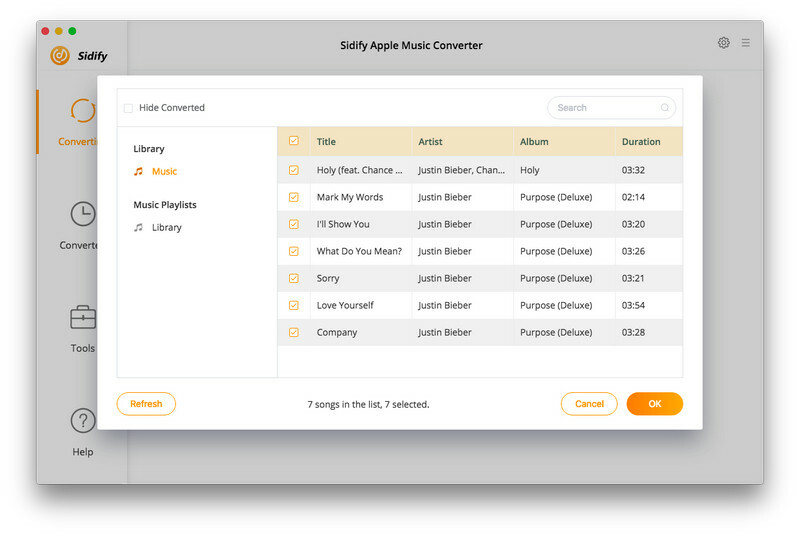 Sidify Apple Music Converter makes it easier than ever to record Apple Music songs in MP3, AAC, FLAC and WAV with 100% original quality, providing maximum listening pleasure. 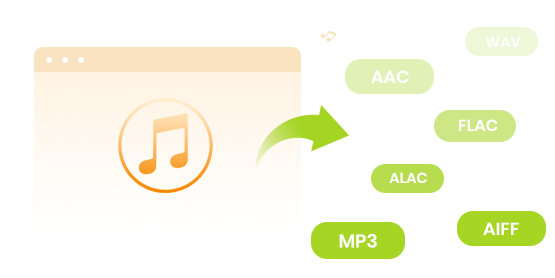 With simple 3 steps - Add Apple Music songs, set output format and click to convert, you can get a batch of lossless plain MP3, AAC, FLAC and WAV audios at a time. 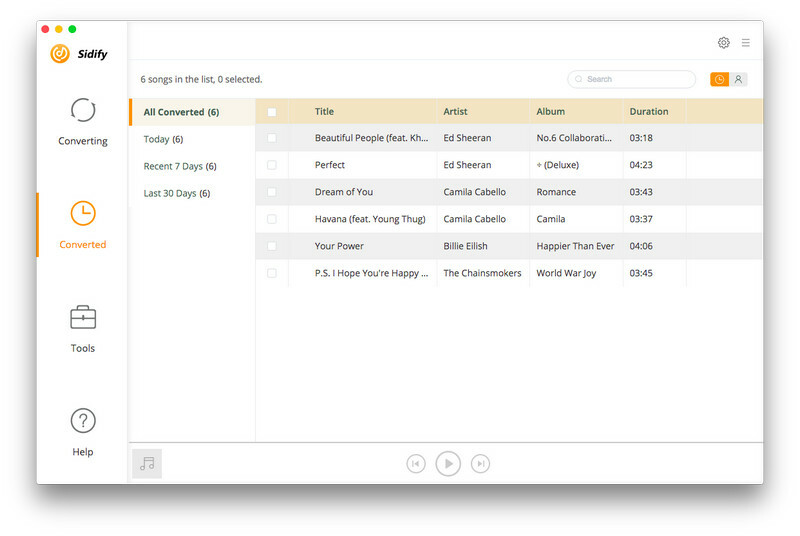 An innovative converting technology is encoded in Sidify Apple Music Converter, which greatly accelerates converting speed. Maximum 20X conversion speed is available to choose while converting. 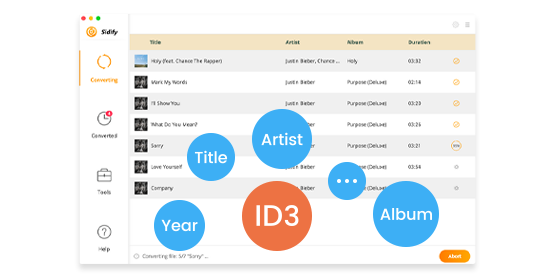 What's more, you are able to convert Apple Music songs with all ID3 tags, metadata kept. 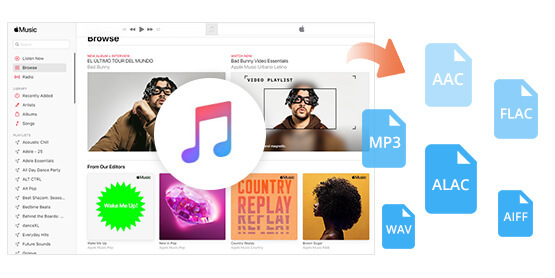 The Sidify Apple Music Converter is an all-in-one and powerful iTunes Audio Converter which can convert not only Apple Music files, but also all music that can be played in iTunes, including iTunes M4A/M4B, Audible AA/AAX audiobooks and iTunes M4P music. What's more, it also supports keeping chapters when converting Audiobook to AAC format. 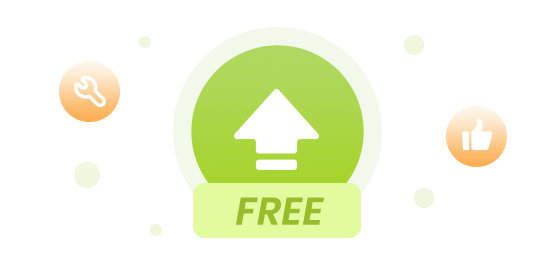 Once you have bought Sidify Apple Music Converter, you can enjoy lifetime free update and technical support. Also, we promise that we will always update to keep up to date with the latest version of Mac OS X and iTunes. You will never get worried about the compatibility of the program. It is compatible with Mac OS X 10.9-10.14 and iTunes 12.9. Sidify Apple Music Converter is an easy way for responsible users like myself to unlock paid music to the new digital world. I can free up my content to all my computers and devices, share with the family in my household. 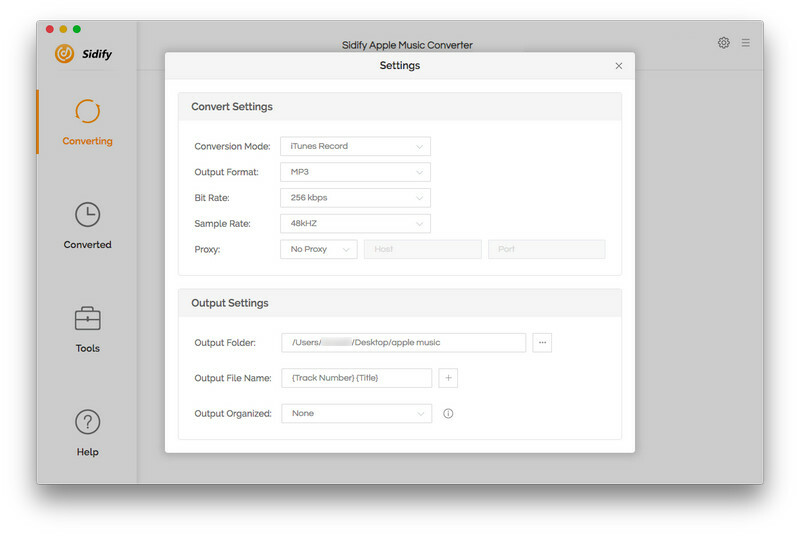 Sidify Apple Music Converter is a very simple app to convert any songs in iTunes library to MP3, AAC, FLAC and WAV and save them on local storage. It is a straightforward app that any user can get the hang of in moments.